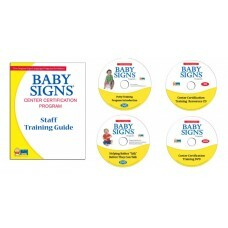 Professional training designed to give early childhood educators everything needed to teach the Baby Signs Program to infants and toddlers in their centers. One goal of this program is to help child care programs of any size—big or small—begin enjoying the benefits that come from incorporating signing into daily interactions between children and teachers. The other equally important goal is to help family service agencies (such as nonprofit organizations, hospitals, nanny agencies, child care resource and referral services, etc.) 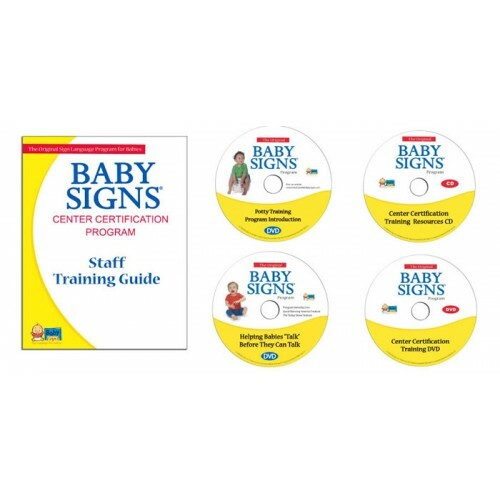 learn how to easily incorporate the Baby Signs® Program into their existing early childhood and parenting programs and their community outreach efforts. The Center Certification Training is a 3-hour staff training program that upon completion, certifies the center or organization to become a Baby Signs® Certified Center. The ECE Training is delivered using the Center Certification Program (CCP), a DVD-based training that enables centers and organizations to train their staffs themselves with or without the help of a Baby Signs® Instructor. The training lasts approximately 3 hours—with games, songs, and activities liberally sprinkled throughout to keep teachers engaged and excited as they learn. Staff Training Guide with step-by-step instructions on how to prepare for and deliver the training. 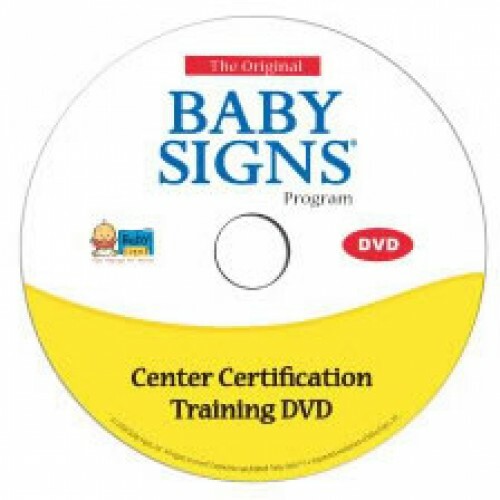 Center Certification Training DVD with three chapters: (1) "Overview for Facilitators;" (2) "The Early Childhood Educator Training" providing the heart of the training; and (3) "The Baby Signs® Program in Action," a 3-minute, narrated video of babies using signs. 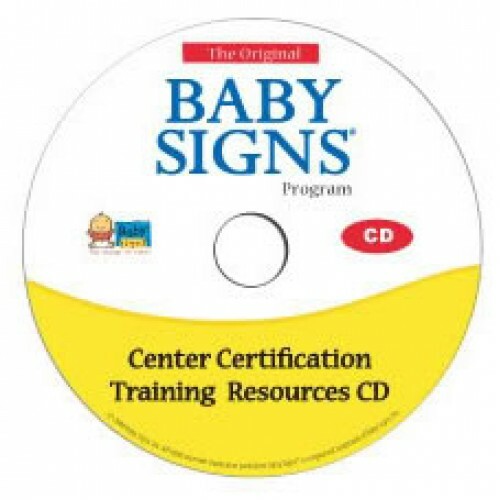 Center Certification Training Resources CD which includes the documents needed to conduct the training, complete certification and market the center's inclusion of the Baby Signs® Program. 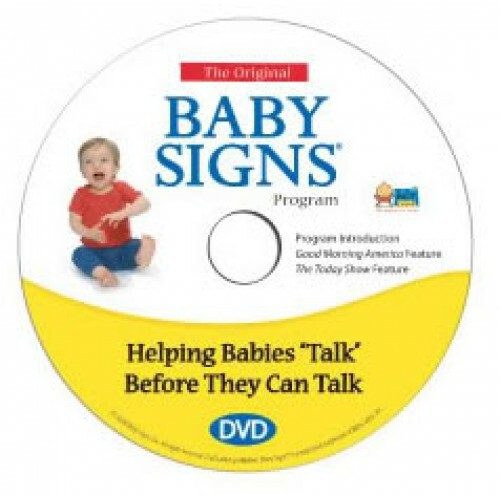 Baby Signs® Program Introduction DVD. 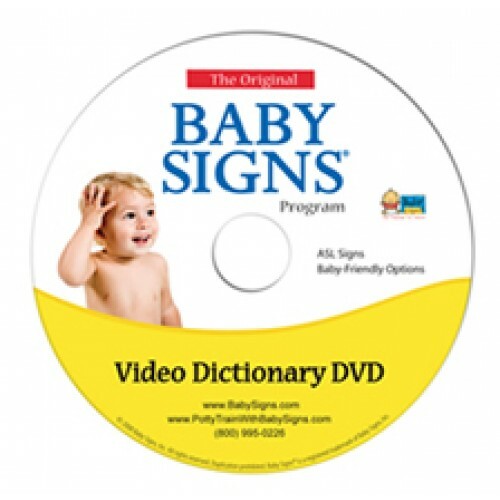 Video Dictionary DVD with 150 of the most frequently used ASL signs and 35 baby-friendly modifications. 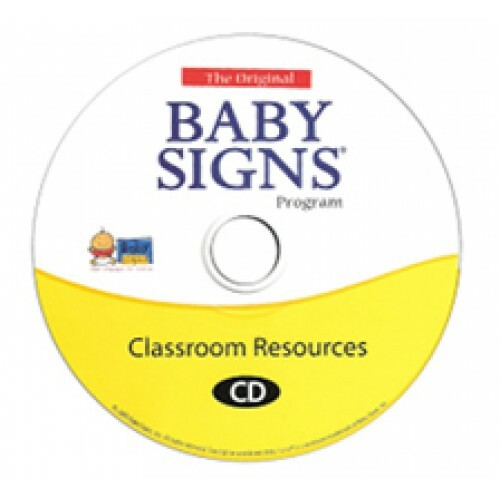 Classroom Resources CD with resources to help staff become successful in implementing the Baby Signs® Program in their center. Includes posters, parent newsletters, color time pages, log and song lyrics.